The West African Examination Council (WAEC) has clarified that the plan to install CCTV cameras has not been approved. According to the examination body, it is considering the proposal but would not be installed in all examination centres but at the WAEC examination halls. Public Relations Officer for WAEC, Mrs Agnes Teye Cudjoe explained the the plan is to help the examination body monitor and check examination malpractice. She also debunked suggestions the plan may have psychological impact on the students. She admonished Ghanaians to support the initiative because it will go a long way to help curb cheating and other malpractices. She also explained the move is aimed at protecting the integrity of our educational systems and credibility of certificates issued by WAEC. 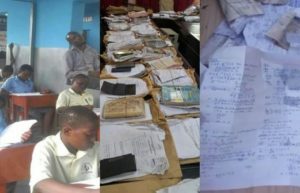 WAEC has planned to introduce the application of modern techniques such as computer-based testing, e-marking software among others to curb examination malpractice. Statistics by the WAEC also showed that out of the 315,247 candidates that sat for the examinations in 2018, 2,787 candidates representing 0.88% were caught indulging in examination malpractice a significant decrease from the 13,793 examination malpractice cases reported in 2017. The West African Examinations Council, WAEC, last month released the timetable for this year’s West African Senior School Certificate Examination (WASSCE). The examination started yesterday (Monday) April 8, 2019. The examination will end on June 7, 2019, with the Elective Information and Communication Technology. The English Language exam will, however, be written on May 9, 2019.